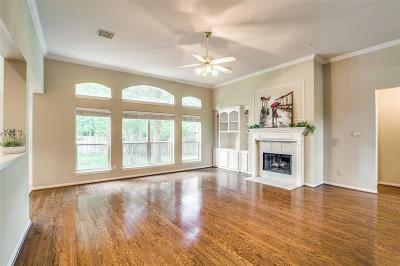 Classic Beauty nestled on a large corner lot, a covered front porch and an over-sized backyard. 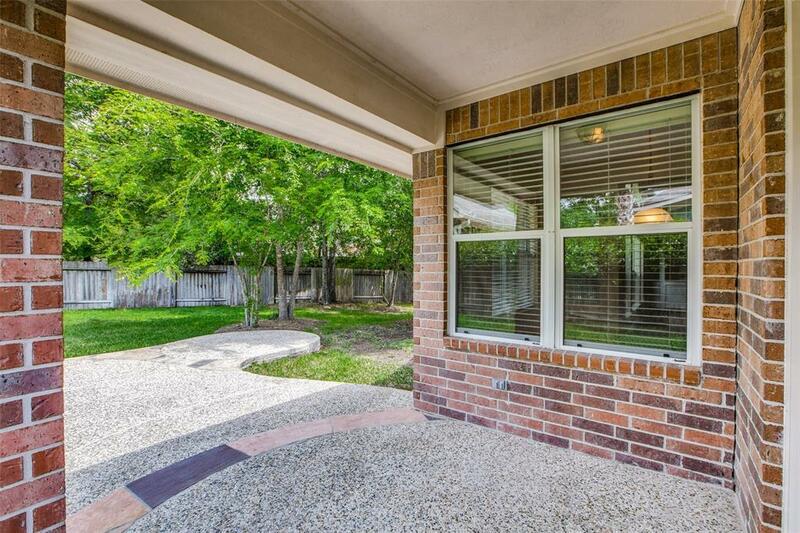 The perfect area to build you own outdoor oasis. 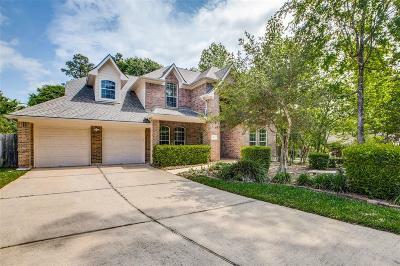 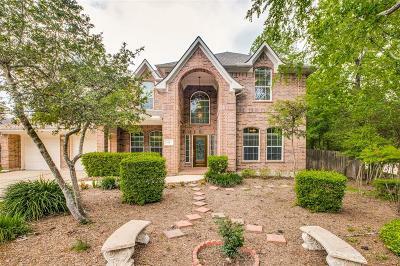 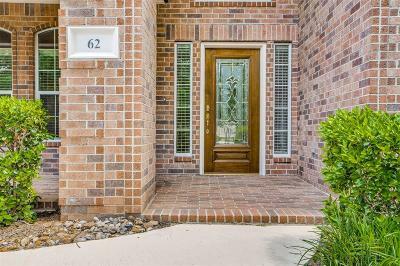 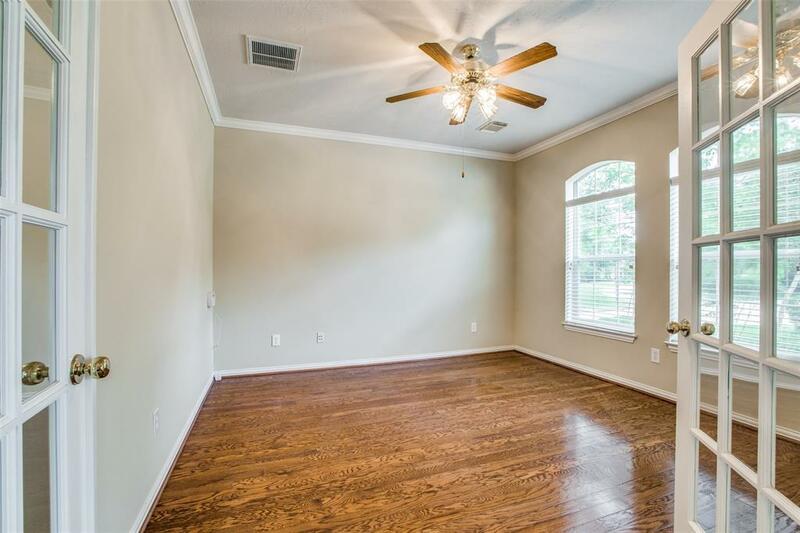 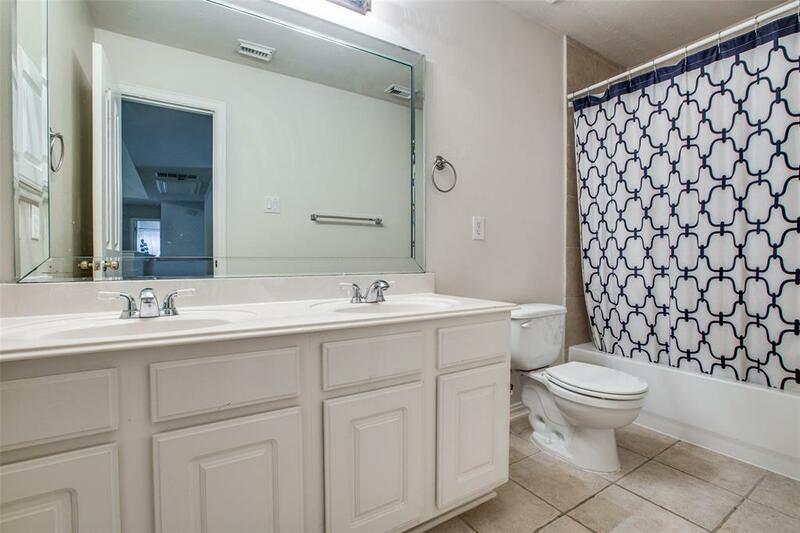 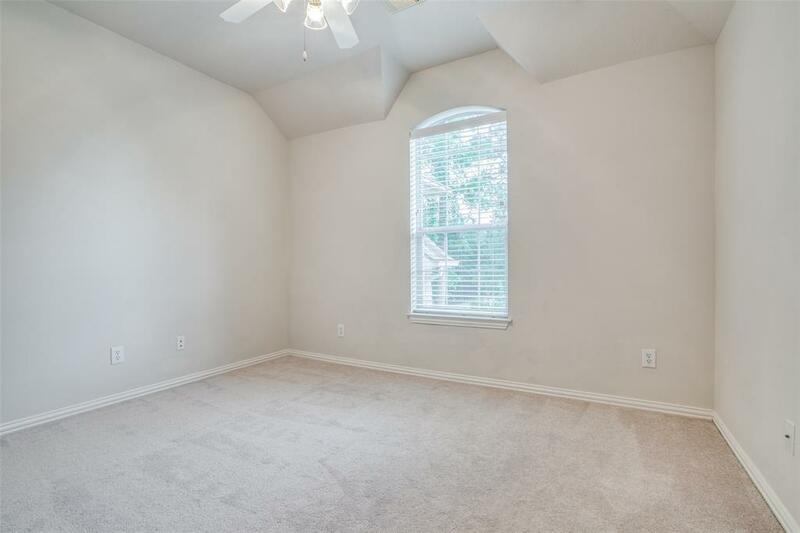 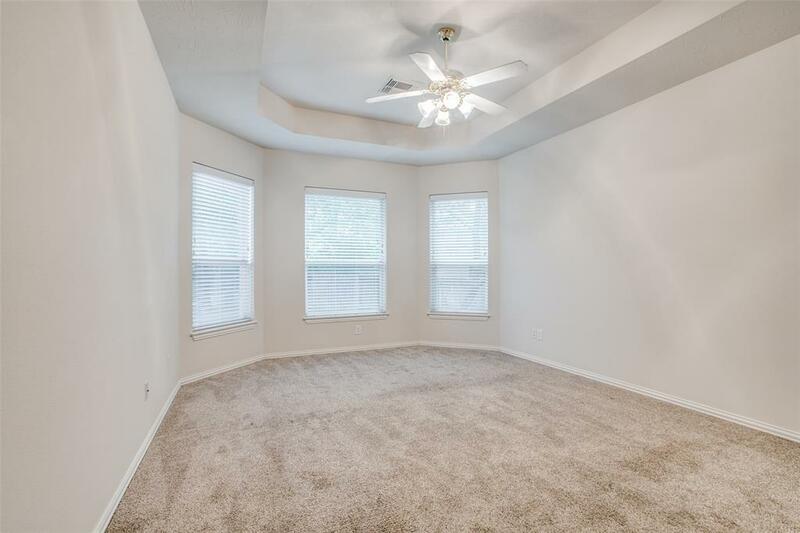 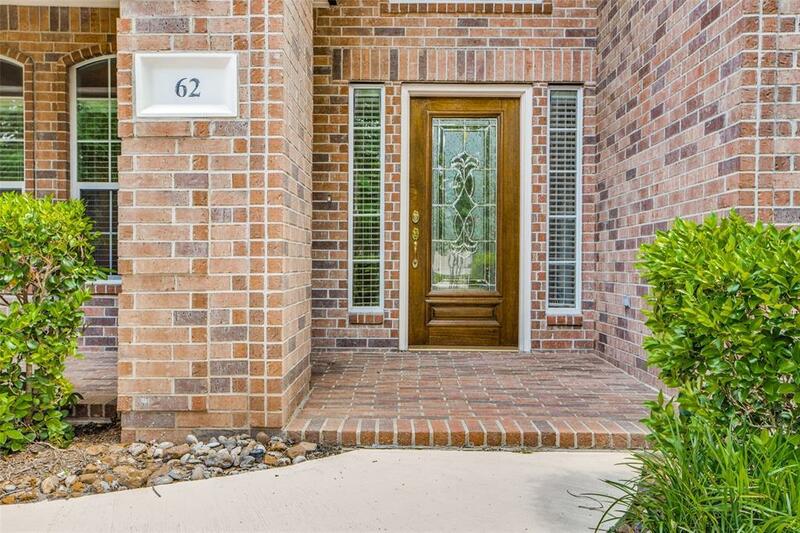 Pride of ownership throughout, neutral colors, soaring ceilings, architectural touches and hardwoods throughout the downstairs. 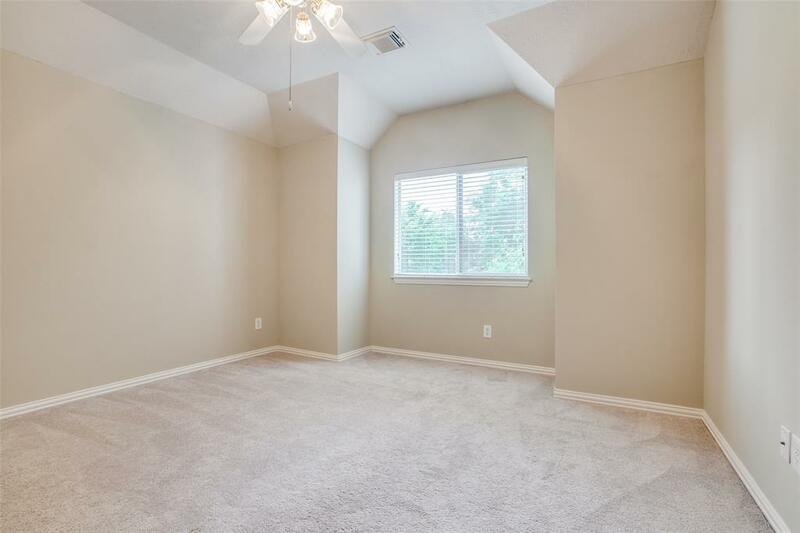 Roof 2015. 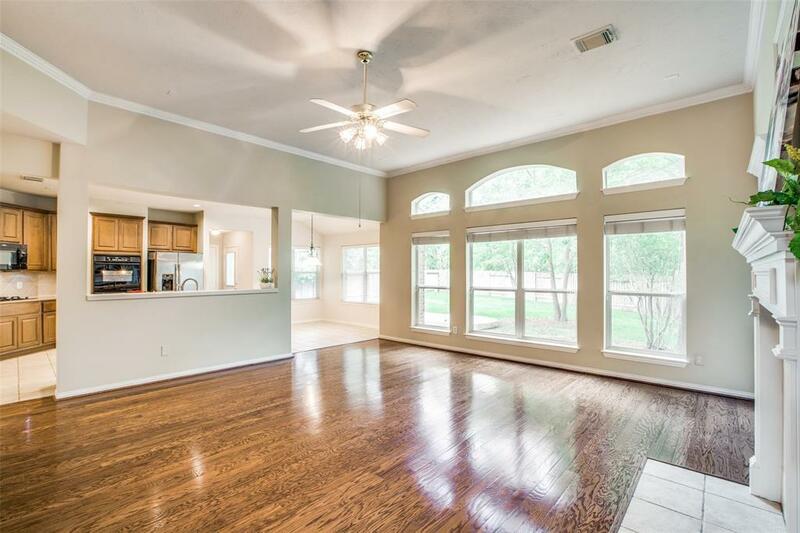 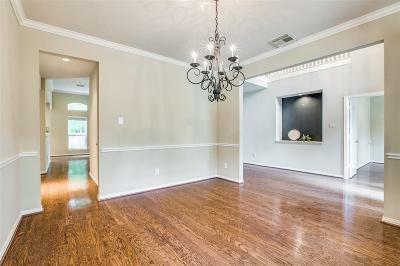 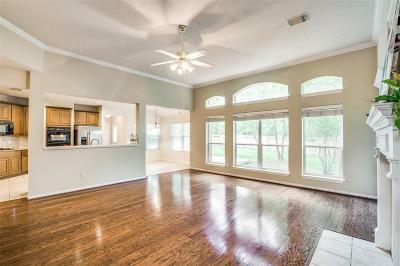 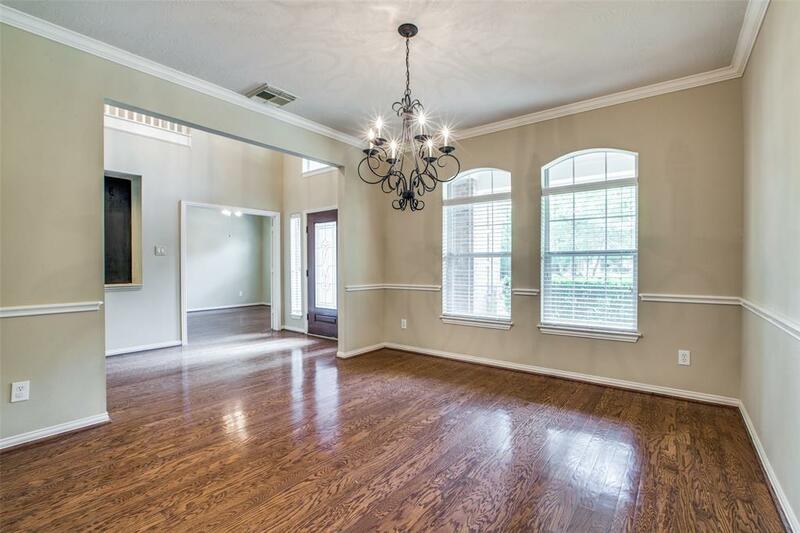 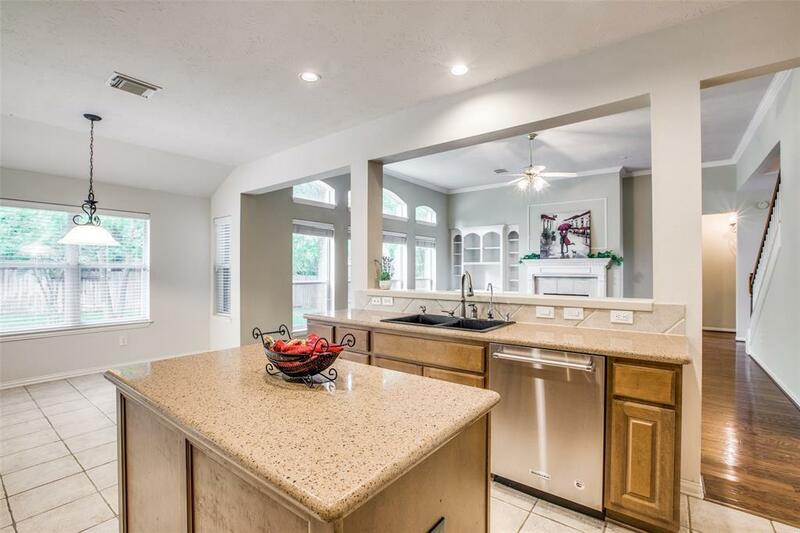 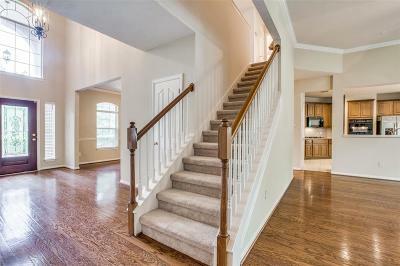 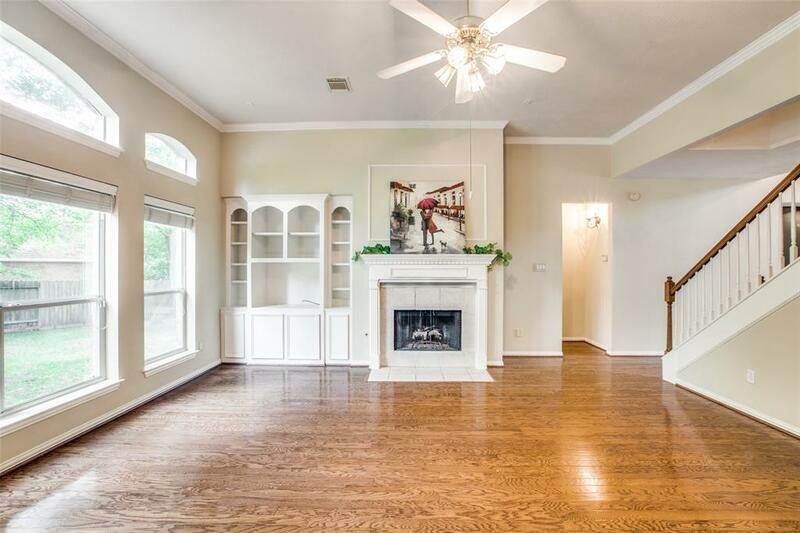 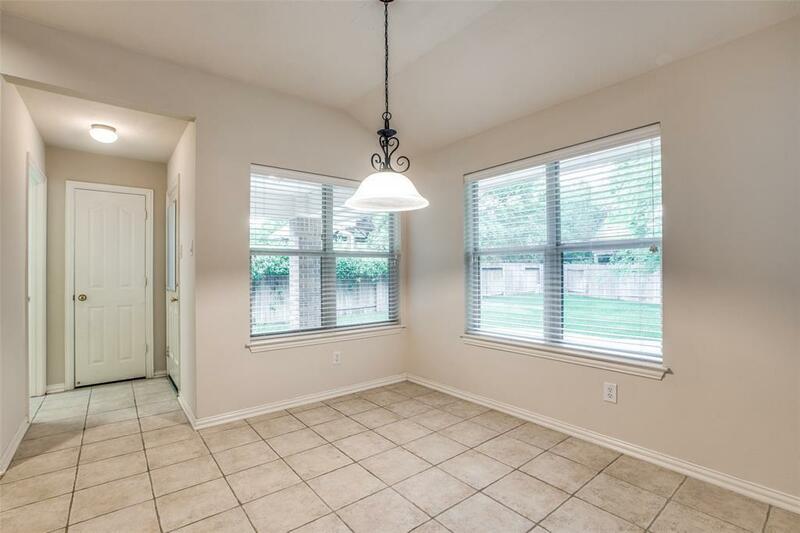 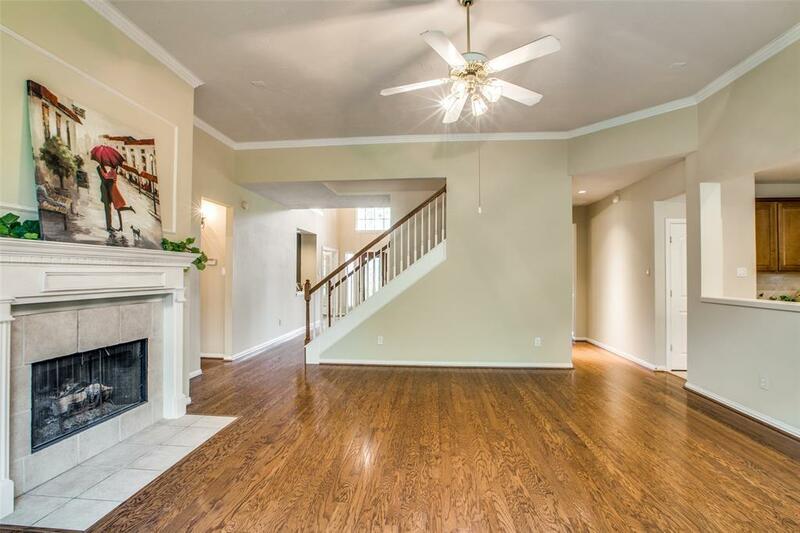 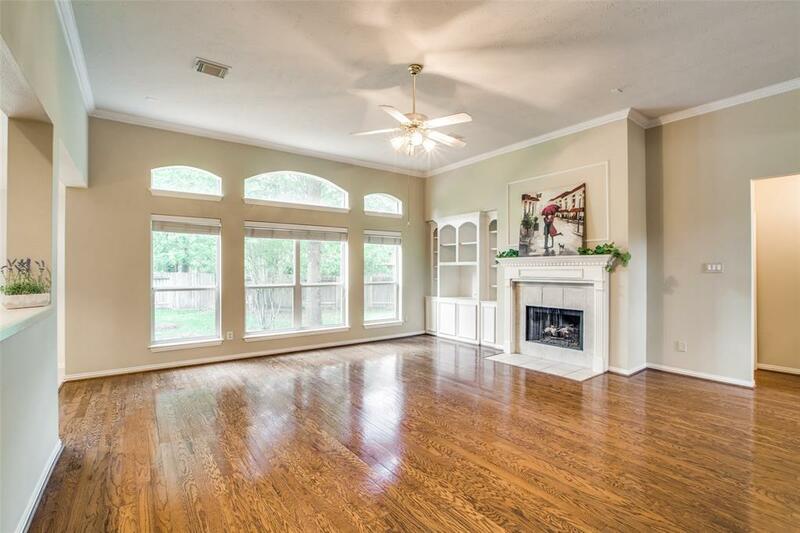 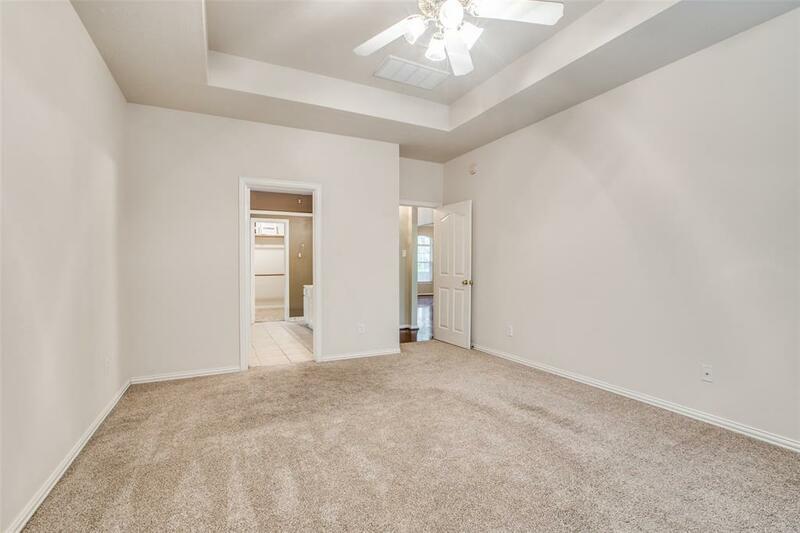 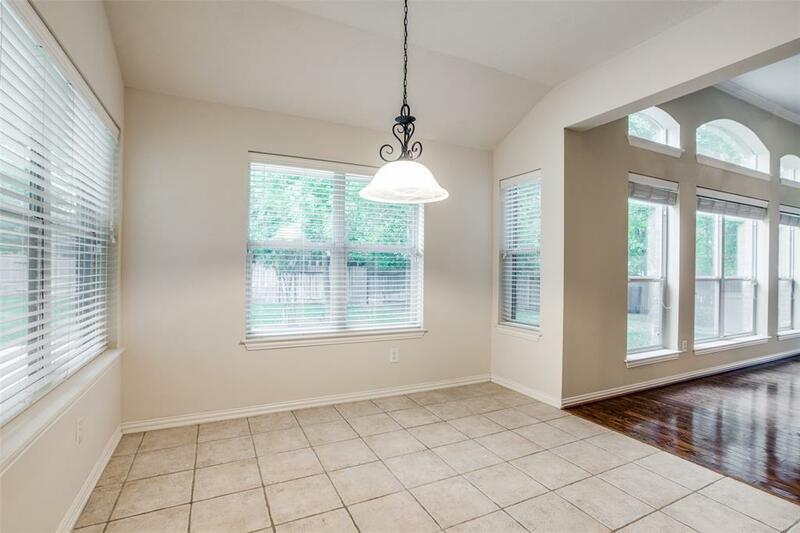 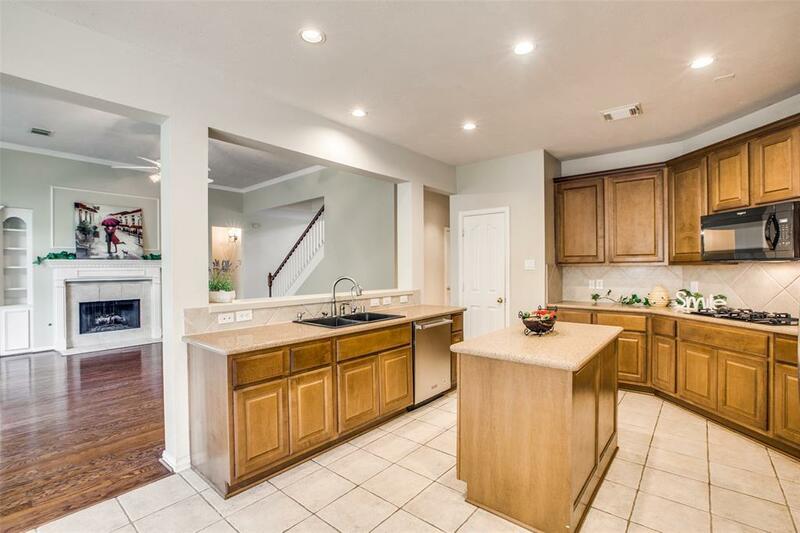 This well designed open floor plan includes a Formal Dining area and Study on main floor. 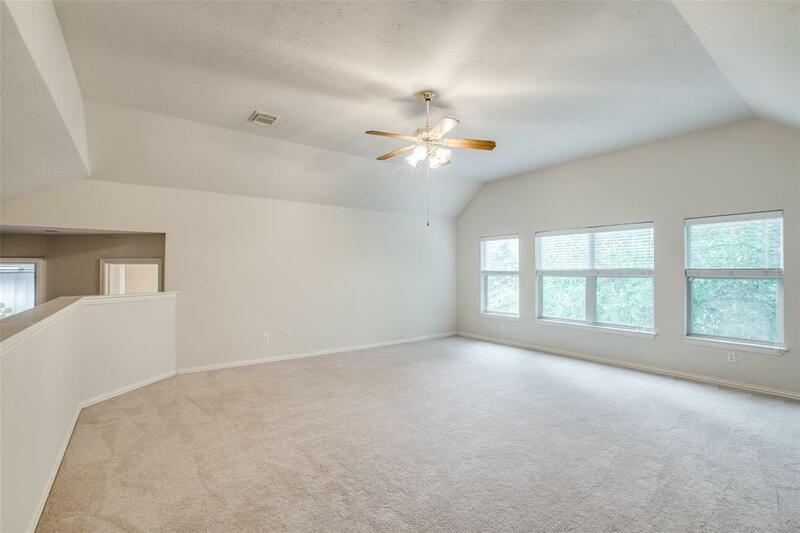 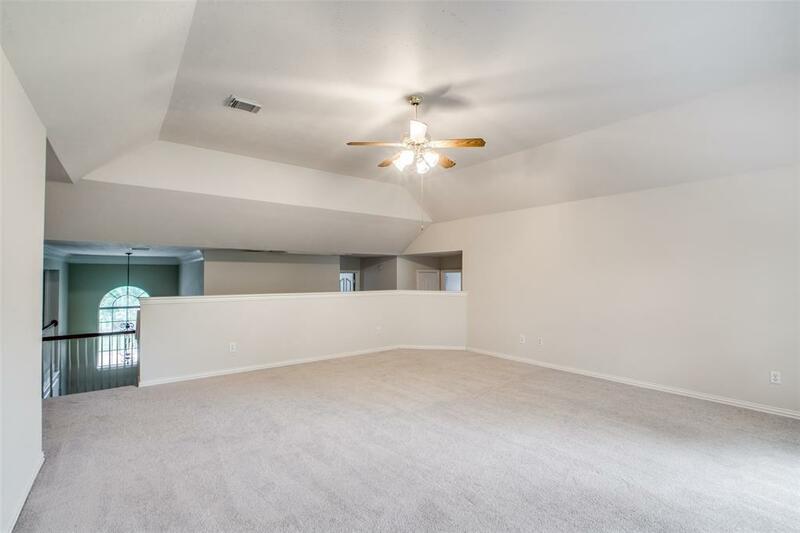 Spacious open family room with fireplace & built-ins. 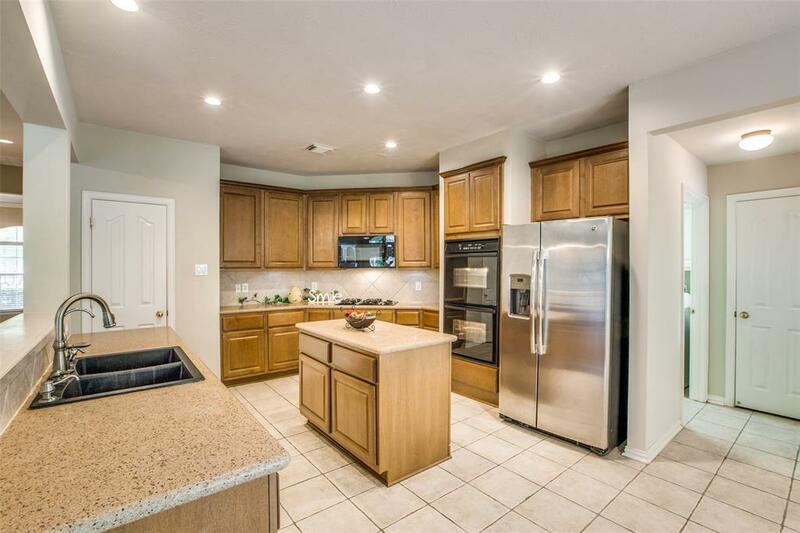 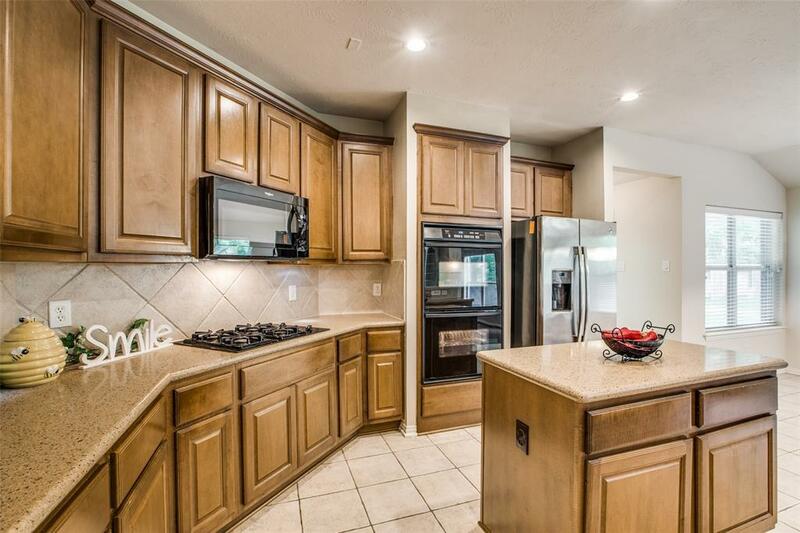 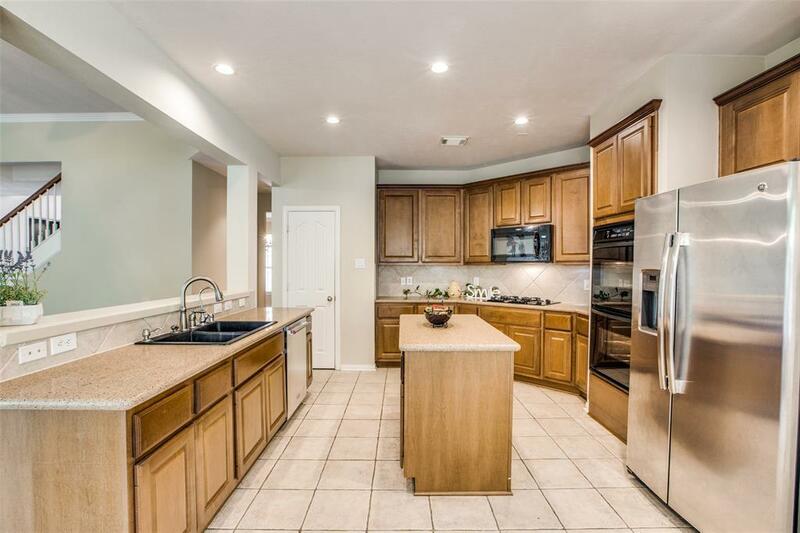 Gourmet Kitchen with island, recent appliances, Avanza counter tops, maple cabinets & walk-in pantry. 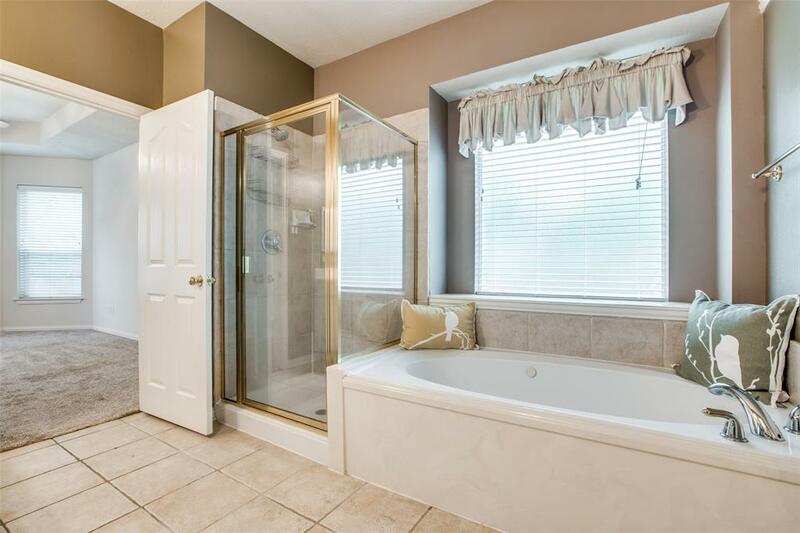 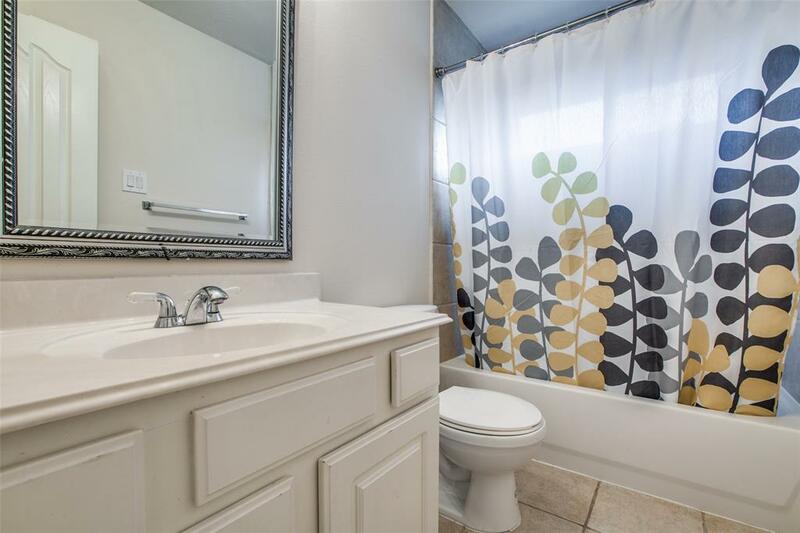 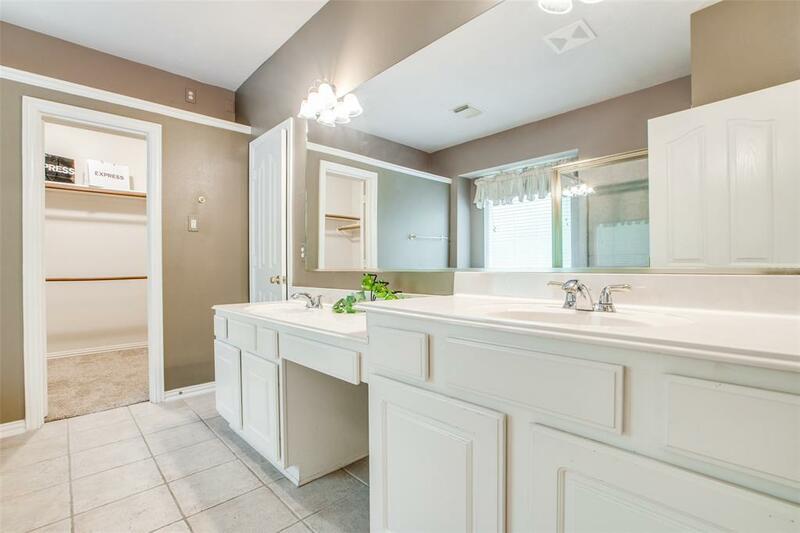 Large Master Suite down w/luxurious bath includes walk-in shower, jetted tub. 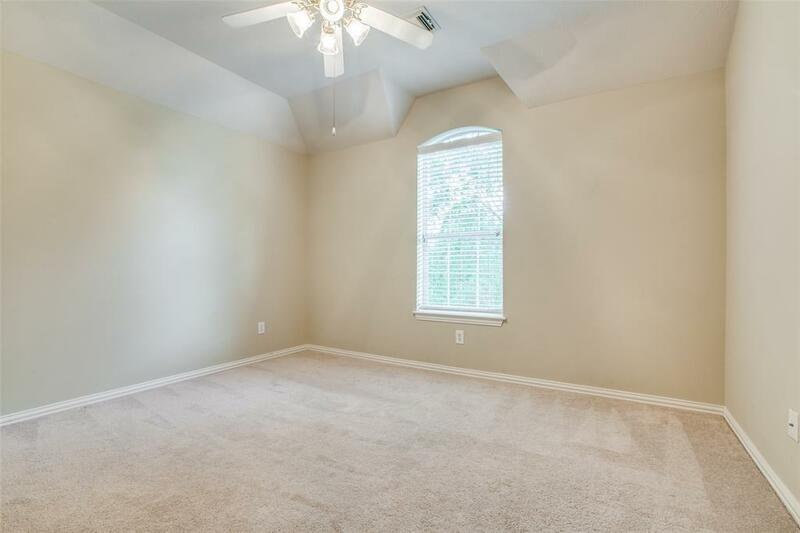 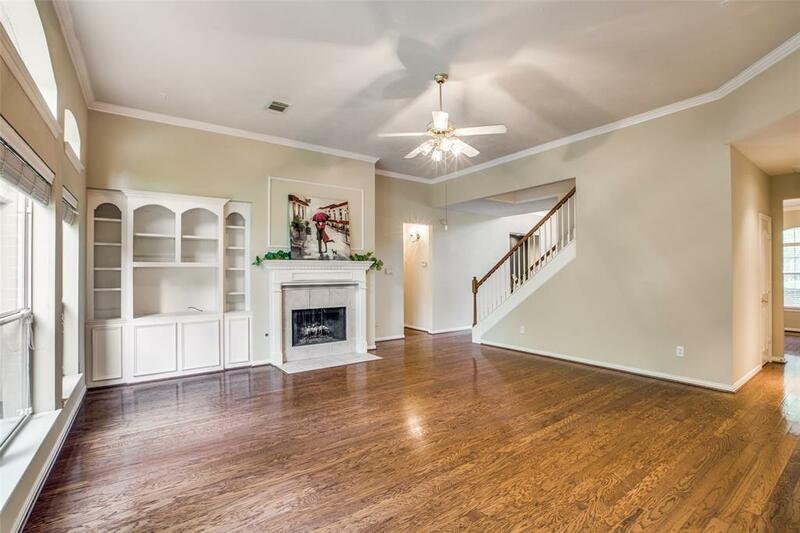 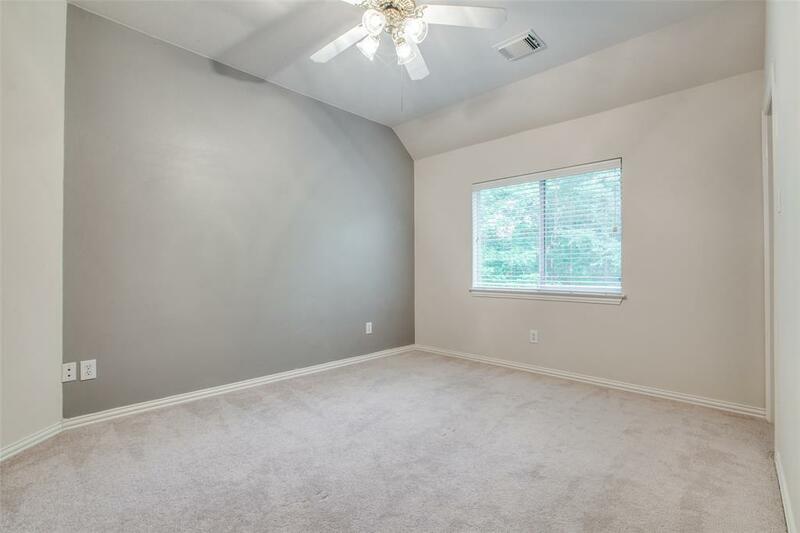 Enormous Game/Media room located upstairs plus 4 secondary bedrooms & 2 full baths. 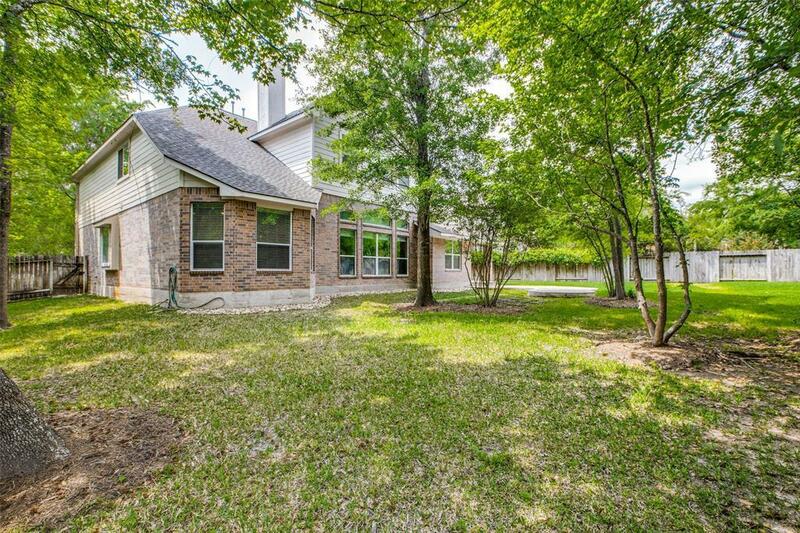 Covered back patio & open deck area overlooks the huge lush backyard with mature trees. Close to exemplary schools which include Coulson, Tough & Branch Crossing campus. 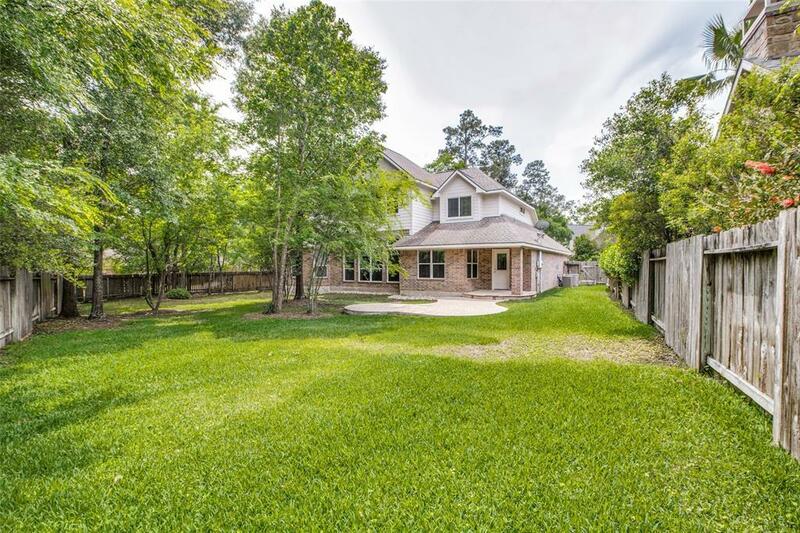 Directions: From I-45, West On Woodlands Parkway, Rt Branch Crossing, Rt Dulcet Hollow. 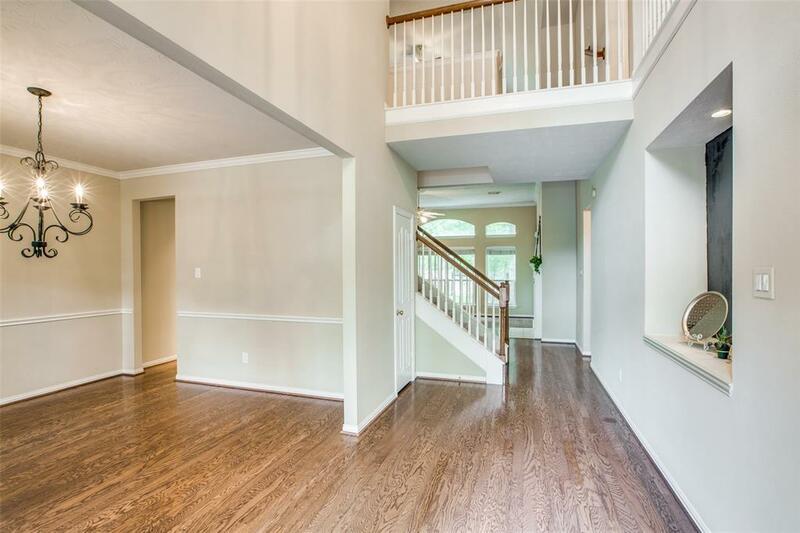 House Is On The Lt.